Spills and messes will happen — never on a schedule — and no matter how hard cleaning staffs try, they won't always be available to clean up. To tackle these problem incidents between regular cleanings, many facilities are supplying antibacterial wipes to non-custodial staff members. This is the case at Cedar Community, a not-for-profit, continuum-of-care provider based in West Bend, Wis.
Nancy Metternich, environmental services manager at Cedar Community, oversees a staff of 31 who handle the laundry and all the cleaning of a 229-bed, 248,000-square-foot health care center, plus 155 apartments at two assisted living centers. "The staff has a lot of rooms to get through in a day," says Metternich. "So unless they are called upon for a specific reason, or a room is on precaution, they will clean and disinfect each area once daily." This once-a-day cleaning includes patient rooms, nursing stations and medical equipment. But, as most environmental service workers in the healthcare setting know, cleaning must continue throughout the day in order to reduce the potential for cross-contamination or the spread of infections. To aid in interim cleaning, Cedar Community provides pre-moistened antibacterial wipes to the nursing staff. Between cleanings by the environmental services staff, nurses are asked to step in and lend a helping hand. For small spills, after using medical equipment or to disinfect their own working area, nurses are encouraged to wipe surfaces down throughout the day. These antibacterial wipes are ideal for use by non-custodial workers. They can be used on a variety of surfaces, are portable, properly diluted with the right chemicals, and easy to use. Nurses simply pull out a wipe, disinfect a surface and let it air dry. The Cedar Community nursing staff has been using cleaning/disinfecting wipes successfully on site for almost five years. The antibacterial wipes, which are located throughout the facility, have helped reduce cross-contamination by offering superior cleaning with fast kill times. "Wipe canisters can be found on computer carts, in offices and in two or three spots on the nurses station," says Metternich. The location of the antibacterial wipes will often dictate which type is supplied. For instance, wipes found on computer carts are safe for use on the monitor screen. These antibacterial wipes do not contain bleach, which can cloud electronic displays found on computer monitors, phones and fax machines. Antibacterial wipes located at the nurses' station are designed to clean and disinfect the hard surfaces throughout the area. Because patients, visitors, doctors and nurses visit these areas frequently, the staff is encouraged to wipe surfaces multiple times throughout the day. "The nurses are encouraged to use the non-bleach wipes on all the hard surfaces after a shift change, if someone is not feeling well, or they just think it needs to be wiped down," says Metternich. "There are also bleach wipes available if they have a patient with C. diff or an infection where bleach is necessary. In these situations, they are encouraged to wipe down even more frequently." When working around critical-care patients, nurses and other clinical staff should use hospital-grade wet wipes as a means of infection control to wipe down surfaces and equipment after every patient examination. This will prevent cross-contamination between other areas of the facility. There are a variety of wet wipes on the market and it is important to understand the differences so they can be used correctly. This is something the nurses at Cedar Community learned the hard way when they mistakenly used bleach wipes on a readout screen and in doing so, damaged the equipment. Now, all the nurses are trained from the start on which wipes should be used where, and why they are important. According to Metternich, all the nurses go through training on how and when to use the wipes during their very first in-service education. That training continues at orientation and then the staff receives training reminders multiple times a year. "Constant reinforcement of infection prevention is everyone's responsibility," says Metternich. "The ongoing training stresses that. It protects everyone." This training has resulted in the proper and ongoing use of wipes by the nurses and has contributed to Cedar Community's low infection and cross-contamination rates — statistics that are closely monitored by Wisconsin state health officials. 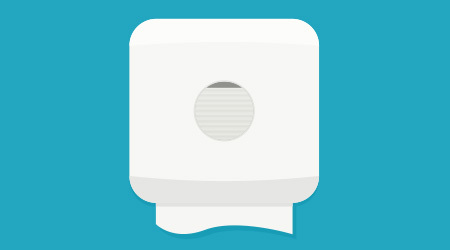 To keep contamination rates down, nurses are trained to use the wipes to disinfect medical equipment after every use. This includes blood pressure cuffs, equipment used to test for diabetes, and other instruments that can transfer infections from one area of the facility to another. They are also educated on the kill claims associated with each of the wipes they use. This is essential, says Metternich, as state survey officials can stop any employee at any time and ask about the chemical they are currently using. "All departments have had to beef up their training on kill claims for specific products that the department might use," she says. "This includes the nursing staff and their use of wipes." Although Metternich and her staff favor microfiber cleaning cloths and spray chemicals when servicing the facilities, they do support the use of wet wipes for interim cleaning. "If you see a spill, it is everyone's responsibility to wipe it up," she says. "It is a slip-and-fall problem or an infection control issue. If it's small enough to wipe with wipes, do it. If it is larger and we need equipment to clean it up, call us immediately and we can help. Infection prevention and safety are very important to us."